Cheerleaders for the “free” market always insist that the market is infallible and always gets it “right”, and so should never be challenged or second-guessed. When they say that the market gets it “right”, they are not making a moral judgment. By “right”, they mean that there is no other option because, they say, the market is not concerned with morality and automatically arrives at the best outcomes. Any attempt to intervene would mean outcomes that are less than optimal. This touching faith in the accuracy and objectivity of the market assumes of course that market operators are always in possession of all the necessary information about market conditions and have equal bargaining power. Even the most purblind of believers in the market’s infallibility would concede that a significant imbalance in bargaining power or in access to relevant information would mean that the market must produce a flawed result for the parties so disadvantaged. The debate about such issues becomes even more pointed when the market being considered is the market for labour. Given the way in which our economy operates, it is almost always the case that it is employers who have the whip hand. In most circumstances, the employer will be able to pick and choose from those seeking work, and will usually be able to say that if an applicant does not like the terms (including the wages) that are offered, there will be others who won’t be so hard to please. Most people will quickly understand that – as between a large corporation and an individual worker – the balance of advantage lies clearly with the corporation when it comes to negotiating the wage bargain. That conclusion is confirmed by the shift in the relative share of wages on the one hand and of profits on the other in our economy over recent years. The power of the employer – particularly since the 1970s, the period when “free market” policies have been in place – has meant that the share of corporate profits has risen, but the share going to wages has fallen. Little wonder, then, that those concerned about growing inequality and poverty in our society might question whether the “free” market for labour always gets it “right”. The labour market, after all, is not just another market for commodities – it is a market that determines the living standards and sense of self-worth of large numbers of our fellow-citizens, and that defines the kind of society we (and they) live in. 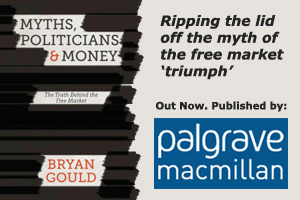 A “free” market that allows the powerful (whether private employers or government departments) to exploit the relative lack of bargaining power of the individual worker cannot be regarded as producing the “right” or “best” outcomes. Our modern-day society would be happier with itself if wage bargaining were not so unfairly tilted in favour of the employer. How is that to be achieved? In a democracy, it is up to us, if we so choose, to elect a government that is committed to intervening in the labour market to ensure that the parties are in a more equal position and are required to agree on certain basic features of the wage bargain – features that will ensure proper conditions at work and a fair return to those devoting their working lives to an employer. It is a safe bet that many of those who voted last year for one or other of the parties that now comprise the governing coalition did so in the belief that they would thereby produce just such a government. It is encouraging that one of our most experienced and thoughtful politicians – Jim Bolger, who has an unrivalled long perspective on where we have gone wrong – has agreed to head up the new government’s effort to put things right. The ideologues are of course aghast that our elected government might seek to second-guess the market. Let us hope that ideological blinkers will not dissuade us from achieving greater fairness in the way we distribute the fruits of our economic success. That success becomes all the more likely if all those contributing are assured that their efforts will be properly rewarded – and is a further step in making our country a better place to live.